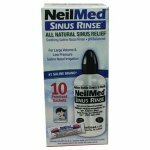 Sterimar Hayfever & Allergies Nasal Spray helps to relieve nasal congestion. 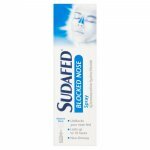 It can be used as often as required to help relieve a blocked or dry nose. 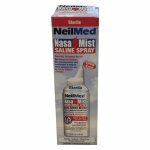 Sterimar Hayfever & Allergies Nasal Spray helps to relieve nasal congestion. It’s gentle micro-diffusion spray is delivered through a shaped nozzle that fits any nose, even a baby. Sterimar has no preservatives and is drug free, which makes it naturally safe for the whole family, including babies and mothers during pregnancy. 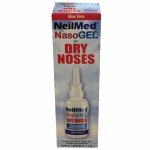 It can be used as often as required to help relieve a blocked or dry nose. It is ideal for home and travel use. Sterimar Hayfever & Allergies Nasal Spray is suitable for babies aged 3 months onwards. On first use, prime the spray by briefly pressing the nozzle. Keeping the head straight, gently put the nozzle in the nostril. 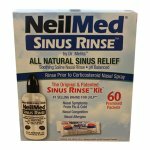 Spray once or twice in each nostril. Let any excess solution flow out and then blow your nose. Keeping the head tilted to one side, gently put the nozzle in the upper nostril. Spray once for 2 to 3 seconds. 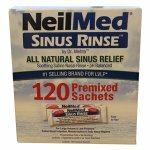 Let any excess solution flow out then blow your nose. After each use, clean the nozzle in hot soapy water, then rinse and dry with a clean and soft cloth. Use 2 to 6 times a day for as long as needed or as long as your doctor recommends. Sterimar Hayfever & Allergies Nasal Spray is purified sea water solutions with the same concentration of salts as the cells in the human body. As such, irritation is highly unlikely. Stérimar Hypertonic has a higher salt content than Sterimar Hayfever & Allergies Nasal Spray but the solution is still less salty than sea water. A sensation of dryness may occur and should disappear within a few days.Always follow instructions and/or doctor's recommendations. Isotonic solution made from 100% natural purified sea water. Inert Propellant: Nitrogen. Propellant does not leave the can during use.